The Minnesota Department of Agriculture has issued a press release about Ruck’s Meat Processing. That facility is recalling sausage products because they may be contamianted with Listeria monocytogenes bacteria. MDA inspectors found that the product was made in such a manner that could result in possible contamination. No illnesses have been reported to date in connection with this problem. The recalled products have the establishment number “8921” inside the State of Minnesota mark of inspection, and a date of 10-26-2018 on the label. The recalled products include Ring Bologna, which was sold from Ruck’s Processing retail store in Belle Plaine, and was also sold at Minnesota’s Largest Candy Store in Jordan. 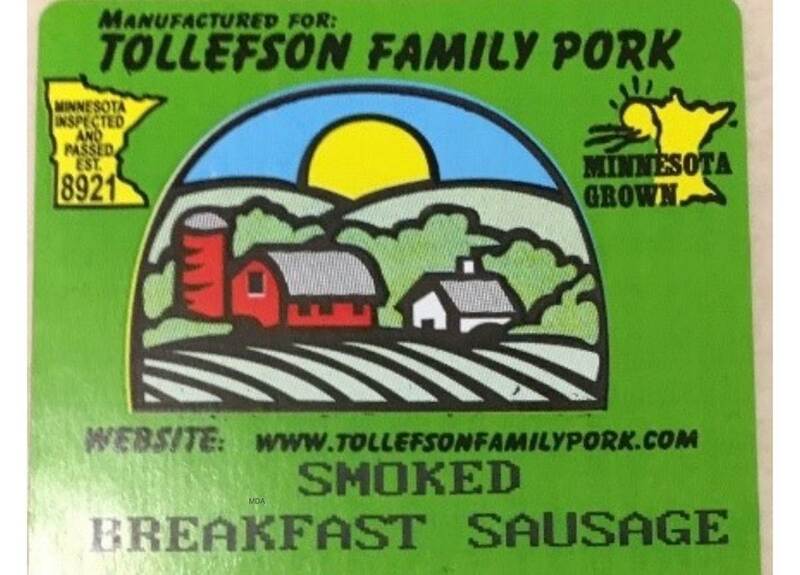 Ruck’s also produced sausage products under the label brand name of Tollefson Family Pork. These products were sold at the Minneapolis Farmer’s Market. They include Polish Sausage, Rex Smoked Breakfast Sausage, and Smoked Breakfast Sausage. If you purchased any of these products, don’t eat it, even if you plan to cook it first. Throw them away in a sealed or double wrapped package, or take them back to the place of purchase. Then clean out your refrigerator or freezer with a solution of 1 gallon of warm water to 1 tablespoon of liquid chlorine bleach. Listeria monocytogenes bacteria can grow at refrigerator temps, and freezing doesn’t kill it. Wash your hands well with soap and water after you touch these products and after cleaning. If you ate any of these sausages, watch yourself for the symptoms of listeriosis for 70 days. Symptoms include stiff neck, high fever, serious headache, muscle aches, and diarrhea. If you do feel sick, see your doctor.